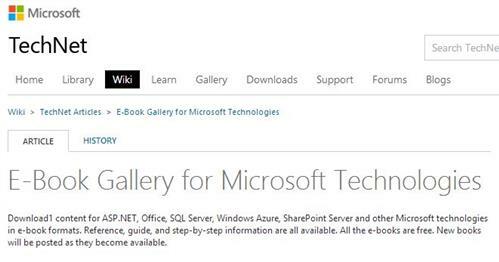 The header for this TechNet Wiki page precedes a massive collection of free e-books and other great reference and learning material. Originally posted in June 2012, the listing was most recently updated last Friday (1/31/2014) and now also includes information on Lync Server, System Center, Visual Studio, Windows 7 and 8, Windows Phone, Windows Server 2012, and even Career advice. There are over 100 free downloadable items here, including at least a dozen lengthy reference guides for most of the platforms covered. It’s a real treasure trove of free material, much of it suitable for exam preparation or basic learning for IT pros. Be sure to check it out yourself, and take advantage of such items as may interest you. Amazing!